Oh May, how quickly you’ve caught up on us. Your crispy, cold mornings, sunny afternoons and rain-soaked weekends have kept us under your thumb for far too long. But, now we’ve finally realised that we’ll be shackled to you no more, and while we planned to see harvest wrapped in autumn leaves, we think we might just prefer your Aunty June. So dear harvesters, we’re happy to start celebrating our fabulous fifth issue with you. 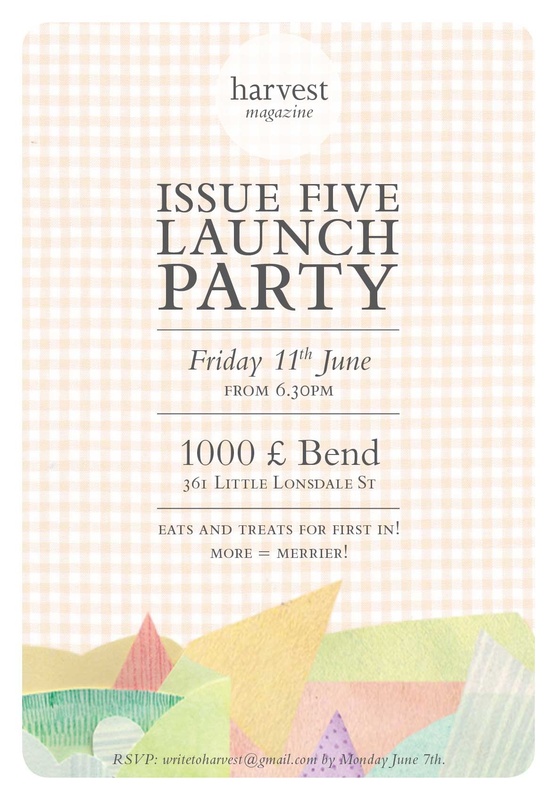 If you’re Melbourne-based or bound on June 11th, please come and join us. Be lovely to see you there! Yes, it’s true. It’s actually us. Back after a mini-that-became-maxi online break. We haven’t forgotten you and although we haven’t been postin’, we’ve also not been coastin’… There’s been a bumper batch of super literary pieces to read and relish– thank you for your submissions– and preparation is underway for a fabulous issue five to hit the bookstands towards the end of May. Launch details to follow. In the middle of this production, Davina had something to say on the SPUNC blog about The role of print journals in the digital age that you might want to check out. Join in. Discuss. If you feel like adding issues one to four to your collection, email us and we’ll organise a/some/many copies to come your way. And if you’ve got any events you want us to know about, drop us a line and we’ll add it to our current list. Of course, if you want to send us some work, review the guidelines and email us your pieces. We’ll be looking to issue six shortly. Stay well. See you again soon. This festive season harvest is celebrating it’s fourth issue. Hurrah! We can hardly believe we’ve made a full cycle and would like to thank all of you lovely supporters and contributors for your kind words along the way. Some congratulations to a few of our previous contributors on their recent submissions to The Age Short Story Competition! Ryan O’Neill (issue one, winter 2008) received 3rd place and will be published in The Age over summer. While Paul Mitchell (issue two, spring/summer 2008) and Emma Schwarcz (issue three, spring 2009) were highly commended. To celebrate the yuletide, we decided to make you another issue of harvest. In the spirit of giving, we’re offering you our latest issue sent straight to you, beautifully gift-wrapped. What a Christmas treat! And because we’d like harvest to brighten Christmas trees around Australia, we’ll do the same for your favourite friends and family, too. Say the word and the latest harvest, or a whole bundle of harvest, will arrive at houses wrapped and bedecked with splendiferous gift tags. Issue #4 features midget stunt-people, haiku, bookworms and ladders and a couple of our ’09 literary crushes (swoon!). In fact, it’s packed so tight with fiction, non-fiction, columns, poetry and art, we’re already worried about how to squeeze it into an envelope. **These special yuletide deals are available to Australian addresses only, and due to Christmas post, only via direct debit/bank deposit. The brand spankin’ new summer issue #4 will be gift-wrapped and posted to your destination of choice for $20. Or choose the festive bundle of issues 1-4 gift-wrapped in a mega-parcel and posted to your destination of choice for $50. All you need to do to see harvest in the mailbox before Christmas is email us at writetoharvest@gmail.com for an order form, and make your payment before Wednesday 16th December. The harvest editors are guests of Textual Fantasies on SYN FM this Saturday 5th September. We’re joining co-hosts Maddie Crofts and Estelle Tang, as well as the editors of stop,drop and roll, to chat about all things magazines. If you’re in Melbourne and itching for some textual tunes, switch to 90.7FM between 1-2pm. Textual Fantasies is a new show on SYN about reading and writing in all its forms. The show delves into the experiences of emerging and established practitioners and the resources available for literary creatives. 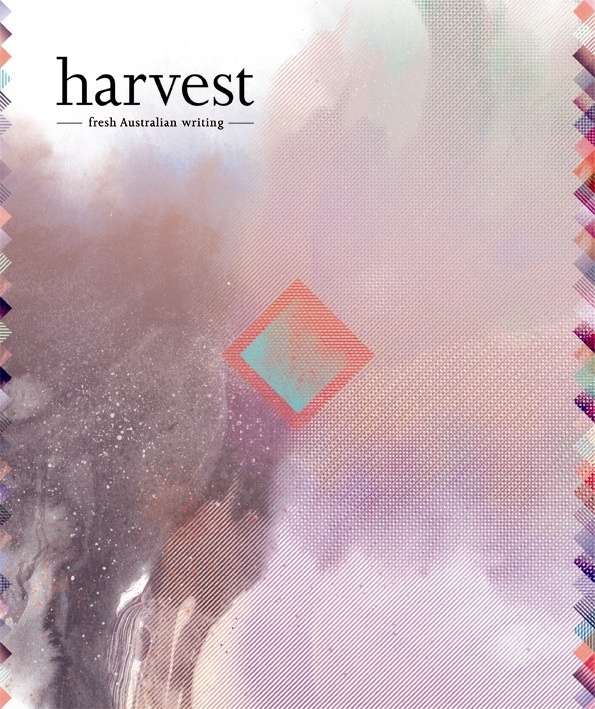 Springtime has come early with our beautiful new issue of harvest magazine. 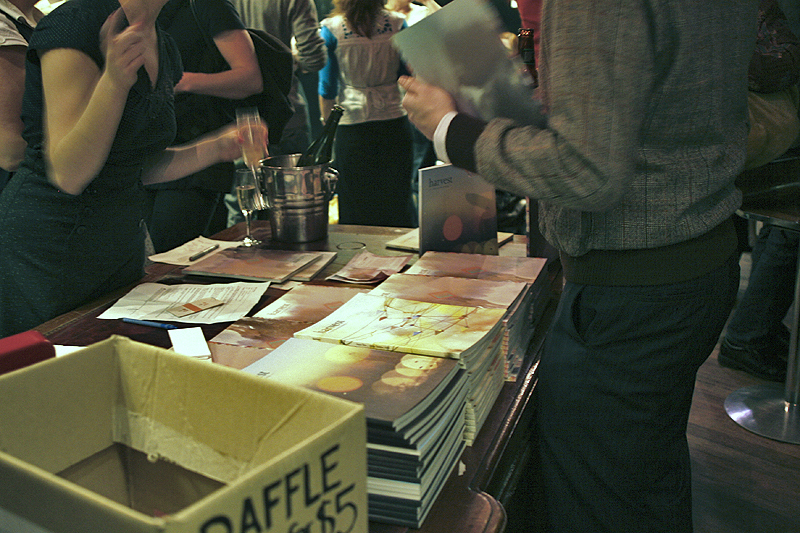 Our Spring 2009 magazine will be launched on Wednesday 19th August from 6:30pm. If you’re in Melbourne, come and celebrate with us at Eurotrash, level 2 Gallery, 18 Corrs Lane, Melbourne. We’ve got readings from Jessica Au, Patrick O’Neil and Maxine Clarke. Love to see you there! If you can’t make it, email us with ‘copy please’ in the subject header and we’ll commence commercial conversations.